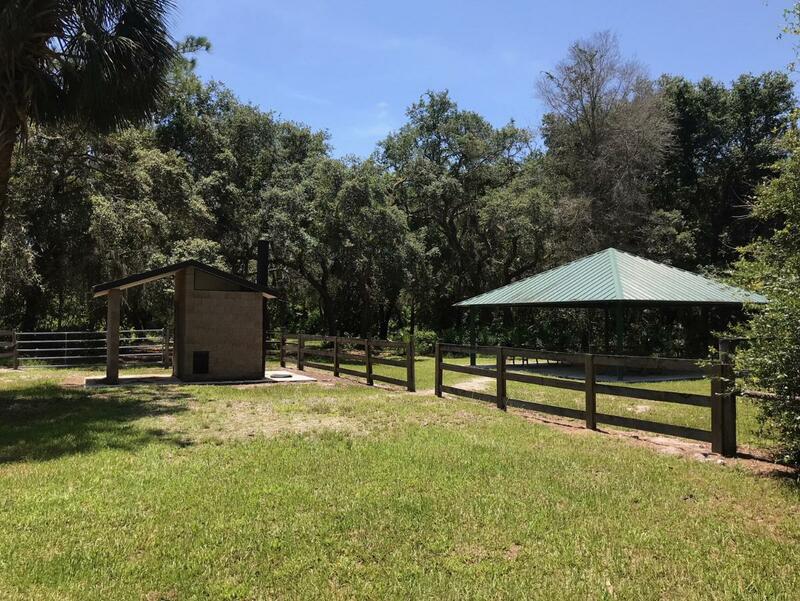 Campsite is in a mature oak hammock adjacent to a large grass parking area that serves as the trailhead for the multi-use recreational trail system. This campsite has a fire ring, benches, near a pavilion, grills, picnic tables, pitcher pump & restroom. The address to this campsite is 845 Lk. George Rd. (County Road 305), Seville, FL. The entrance to this area is located on County Road 305, 1/4 mile west of the Truck Trail 2 Road, approximately 2.75 miles west of Seville. The Pine Island campsite is within the Lk George Wildlife Mgmt Area. During hunt season (no camping during the General Gun hunt season) this camp area is split into 4 campsites so 4 groups of up to 6 people can camp, so you would be sharing the amenities and the pavilion with others. Outside of hunting, this camp area is reservable for one group up to 24 people.